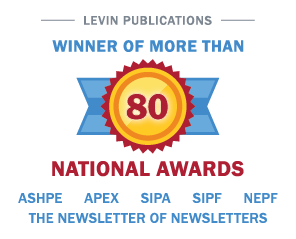 NORWALK, CT –September 6, 2016-Irving Levin Associates, Inc. will host an important webinar— LTACs vs. SNFs vs. IRFs: Mergers, Acquisitions and the Battle for the Post-Acute Patient —on Thursday, September 22, 2016, at 1:00 PM ET. A recording of the webinar will also be made available following its live presentation. The webinar is part of the Interactive Webinar Series. Long-term acute care hospitals (LTACs) and inpatient rehab hospitals (IRFs) have pretty much had a monopoly on the highest acuity post-acute patients, especially those requiring ventilator care. But as skilled nursing facilities continued to see their private pay census decline, combined with a stingy Medicaid reimbursement system, they began to seek out higher and higher acuity patients, sometimes competing with LTACs and IRFs. Site neutrality for patient care and reimbursement became a big topic. This, in part, has been pushing the values of some SNFs into never-seen-before territory. But SNFs have to be able to deliver on quality, and some have, while others have not. Steve Monroe, Editor of the SeniorCare Investor and moderator of the panel, will pose relevant topics such as: Whether the evolution of SNFs into higher acuity care will decrease the values of LTACs and IRFs; Who is selling in this seller’s market? How far SNFs can push into the high-acuity business and the extent to which LTAC and IRF owners and operators will be able to fight back; The influence that managed care companies will have on site neutrality; Whether the physician and the patient will have any say in the site of care; And what this will mean for the SNF operators that don’t get into the high-acuity business. Our panel of experts will include Rick Matros, CEO, Sabra Health Care Reit, Aaron Murski, Managing Director, VMG Health, and the rest to be determined. “LTACs vs. SNFs vs. IRFs: Mergers, Acquisitions and the Battle for the Post-Acute Patient” is expected to generate an informative discussion. If you’re interested in this topic, then you won’t want to miss the live webinar on September 22, at 1:00 pm ET, or miss out on the recording that will be available following the webinar.